A common mistake among startups is waiting to implement a secure IT infrastructure. Manually managing a handful of employees is doable, but as that number increases, a directory service becomes crucial in maintaining a secure, efficient IT environment. Zach Tindall, the Chief Technical Officer from Can We Connect, had experienced first hand the inefficiencies that surface when corporate IT infrastructure is implemented later rather than sooner. Zach started his professional career at Verge Health in 2008, when the company was still in the startup phase and helped it grow into a full-fledged enterprise. In July 2017, after a successful tenure at Verge, a former colleague approached Zach about a new app idea and soon after Can We Connect (CWC) was formed. 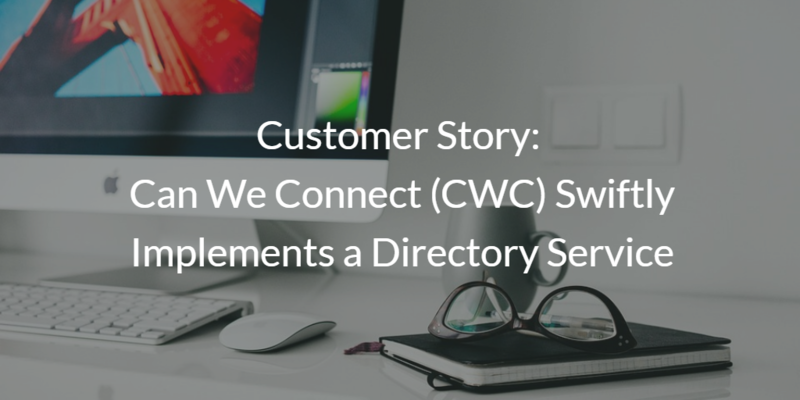 Zach sat down with us and shared how JumpCloud has helped CWC lay the groundwork for a scalable and secure corporate infrastructure. Can you tell us about Can We Connect? Zach: Sure! CWC is a mobile application that caters directly to entrepreneurs, freelancers, bloggers, start ups, and other remote type workers. CWC affords them the opportunity to connect with others in similar situations, in order to capitalize on different skills and expertise. Introductions are made online and connections are forged in person, in your neighborhood’s most convenient and productive work space. Currently, we are working eagerly to build out the mobile application with features inspired from user group sessions. What was the reason you started searching for directory services solutions? Zach: At my previous company, I remember a time where I was able to sign up for any service at any time with my work email or personal account. I had multiple GitHub, Atlassian, and Salesforce accounts, and I was managing personal licensing for Microsoft® Office and Adobe products. When the company was bought out by an investment firm, we started to consolidate accounts and formalize a corporate structure. It was a very long and frustrating process for the operations team as well as employees. As the CTO of CWC, I wanted to get up and running quickly, but also formalize a corporate structure from the very beginning to minimize future frustrations and migrations. I needed a product that I could implement myself very quickly and could simplify user management. As a developer, I don’t like to waste my time with operational things, but I feel strongly that user/application management is very important in running a tech company. If you couldn’t solve this problem, what would that mean for you? Zach: We would still move forward in an unstructured way, it would just add more items to the To-Do list and would cost us more money and time in the future. How did you discover JumpCloud? and JumpCloud was one of the first ones on the list. Why did you choose JumpCloud? Zach: We initially chose JumpCloud as our Directory-as-a-Service (DaaS), because it let us evaluate the product for free during our set-up phase. How have you integrated DaaS into your environment? Zach: So far, the integrations with JumpCloud have been very easy thanks to your extensive help articles. Currently we are only using JumpCloud for SSO with a few Atlassian products and Aha, as well as our authoritative source for managing G Suite accounts. Can you tell us more about your integration with G Suite and the Atlassian products? Zach: Sure! We choose G Suite as our email, storage, and office software because I’m a huge fan of what Google has done throughout the years as well as the overall cost of G Suite versus other leading competitors like Microsoft Office. We currently set up our users first in G Suite and then import them into JumpCloud. I hope to change the order of this soon, but we are currently limited by the way G Suite was initially set up through another provider. For Atlassian, we are currently integrated with JIRA, Bitbucket, and Hipchat. Once we import our users into JumpCloud, we then provision the users for Atlassian products based on the access needs of the user’s position. We are also currently integrated with Aha and we set this up the same way as our Atlassian integration. What are the benefits to using JumpCloud? Zach: So far, JumpCloud’s directory service has been great! The benefits are ease of use, centralized user management, and seamless 3rd party integrations. Users also love only having to remember one password. Cost was a big factor in our decision to use JumpCloud. I’m a big fan of companies that are startup friendly. JumpCloud will save us a ton of money over the next year while we gain traction in the market and raise funding to hire additional employees. As far as security, I don’t have any concerns as of today. With many more companies offering SSO solutions, I feel the security concerns have already been solved. I also really like that I can disable a user in JumpCloud which in turn disables the user’s access to our integrated products. If you enjoyed reading how Can We Connect is executing an organized infrastructure sooner rather than later, you might also enjoy a short read on how Patch of Land is replacing Active Directory, or Lumeon is honing user access to AWS servers. 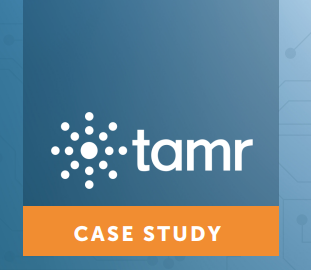 For a more in depth customer experience, consider reading how Tamr optimized user access to 300 servers or how PIA Agency gained centralized control over their IT environment with Directory-as-a-Service®. You’re also more than welcome to drop us a note if you have any questions or would like to find out more about how JumpCloud can simplify access to IT resources in your environment. The video above offers a five minute walkthrough of the core features of JumpCloud’s Directory-as-a-Service. We also encourage you to start testing our cloud based directory by signing up for a free account. Your first ten users are free forever, so there’s no reason not to begin testing JumpCloud out for yourself.